Kirkhope Aviation Outback Air Tours & Corporate Charter are based at Moorabbin Airport in Melbourne, Victoria. Our meticulously maintained fleet consists of an eleven-seat Beechcraft twin turbine Super King Air, two ten-seat Piper Chieftains, and an eight-seat, twin-engine Piper Navajo. 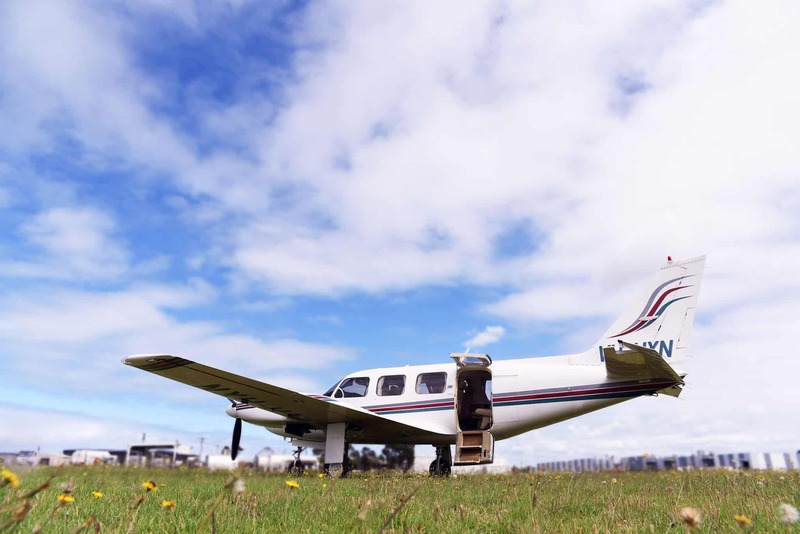 All our aircraft are rated for instrument flying which allows departures and arrivals in most weather and at night (assuming the airstrip is suitable), and are flown by experienced commercial pilots with command instrument ratings. The Beechcraft 200 Super King Air is a twin-engined turboprop (jet engine powering a propeller) pressurised aircraft equipped for up to 10 passengers. 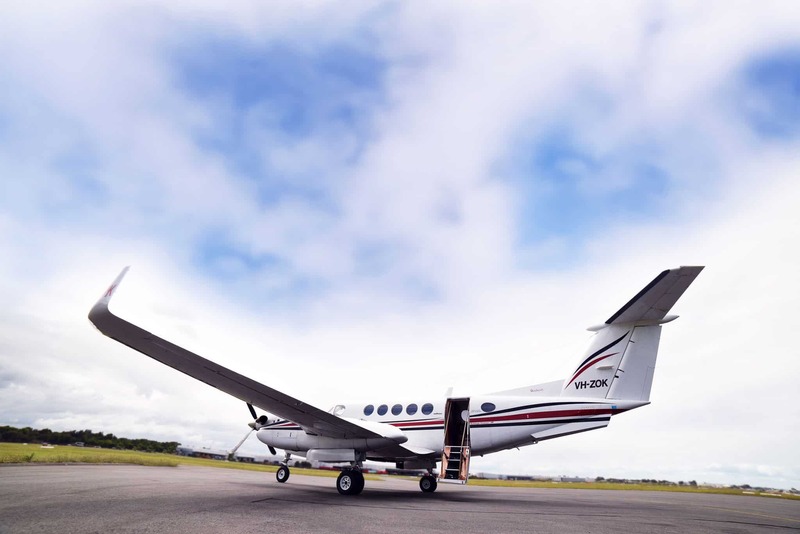 Ideally suited for travel in the Australian Outback as well as corporate charter, the King Air offers the versatility of turbine engines as well as speed, safety, and comfort, at a fraction of the cost of a traditional jet. It can also land on unsealed and unprepared airstrips (grass, gravel, dirt), without sacrificing speed or payload. 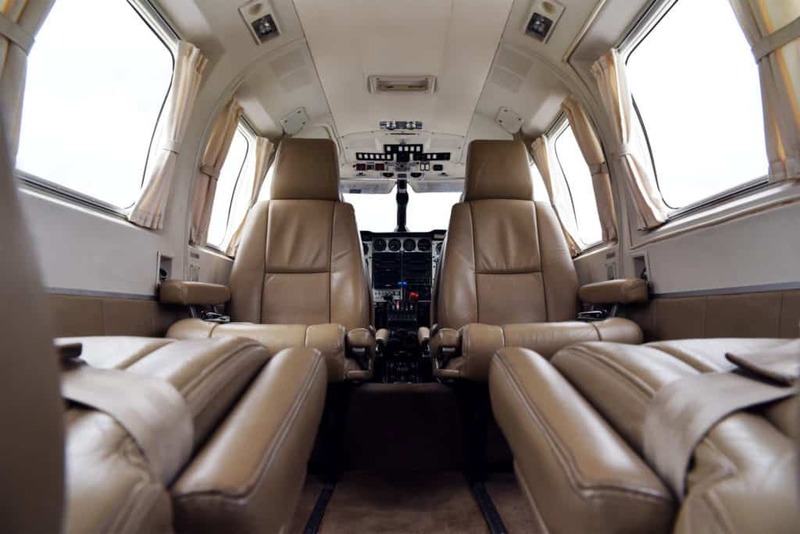 The aircraft features more headroom than the Piper Navajo and Chieftain, leather club seating, rear boarding stairs and an emergency toilet. The Royal Flying Doctor’s Service currently operates over 30 Model 200 King Airs in Australia. The King Air is the fastest of our aircraft and primarily used for corporate charter. 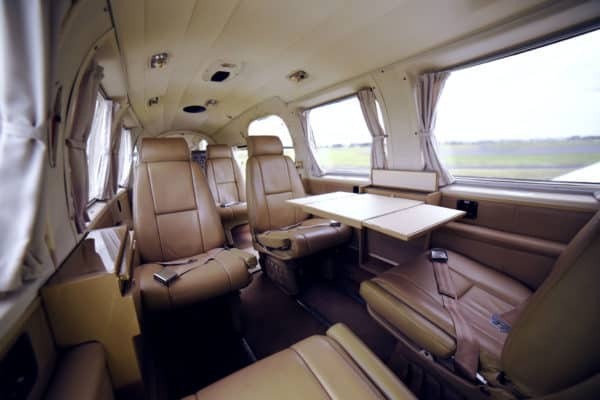 However, if you’re wanting something a little more luxurious and exclusive, or looking to minimise your travel times as part of a custom tour, the King Air delivers on all counts. Kirkhope Aviation operates two Piper PA31 Chieftains. The Chieftain is a twin-engine aircraft with seating up to nine passengers. 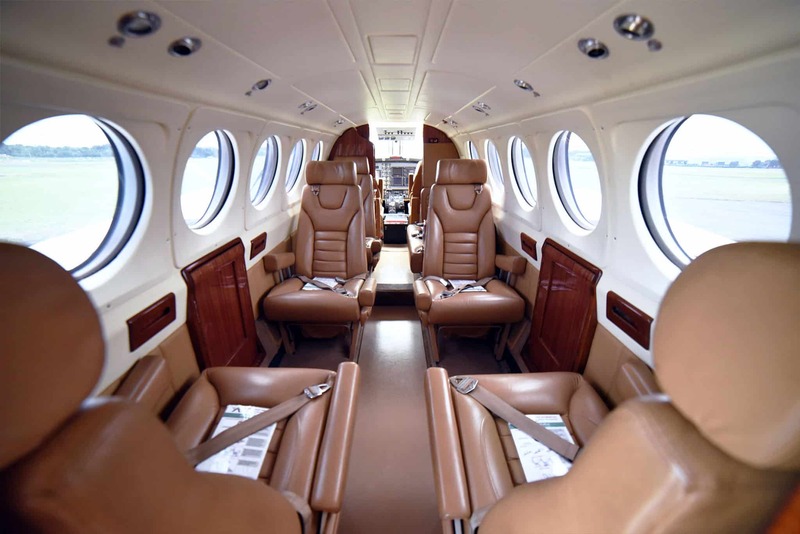 It is well-suited to touring, and features large windows that provide panoramic views from any seat, air-conditioning, leather club seating, and the latest avionics. The extra-large windows ensure excellent visibility and, along with the Piper Navajo, is our preferred choice for touring or scenic charters. The popularity of Piper Chieftain ensures it continues to be used extensively throughout Australia in aeromedical and charter work. The Piper PA31 Navajo has one less row of seats than the Piper PA31 Chieftain, but is as fast and just as capable. It is ideal for smaller groups of six or less passengers and offers the same touring characteristics of its longer cousin at a slightly lower cost. Featuring air-conditioning and leather club seating with tables, it’s a great choice for a smaller tour, or corporate groups of four to six people. 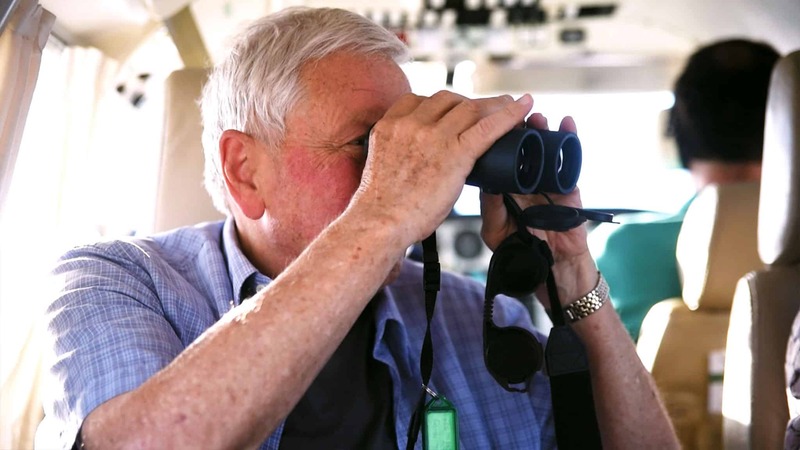 The Navajo and Chieftains are used primarily for outback touring as they have large windows providing a panoramic vista, and can fly low if necessary. The King Air is used primarily for corporate charter; however, it is also available for those wanting a more exclusive tour. It's a faster aircraft, meaning more distance can be covered in less time, but can still access remote places. All Kirkhope Aviation aircraft are fitted with leather seating with our Beechcraft 200 Super King Air offering the largest legroom and seat width. Headroom and ease of access are also more significant when compared to the Piper Navajo and Chieftain. 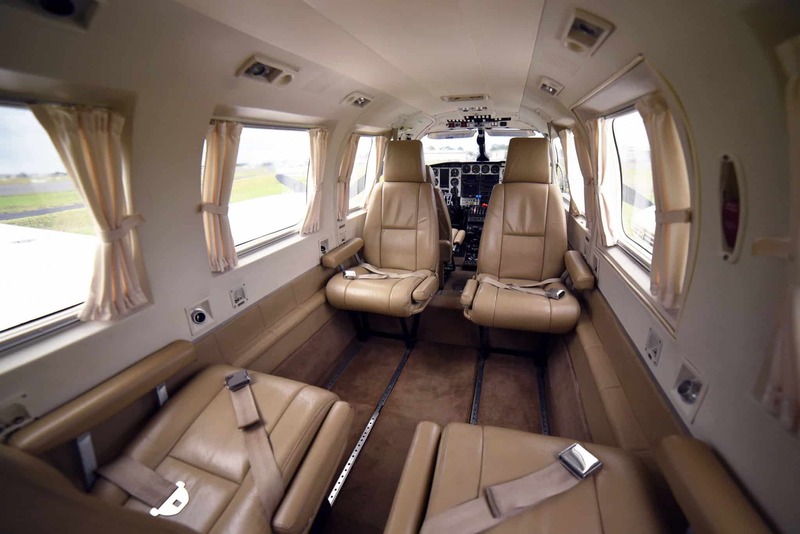 The King Air also offers a pressurised cabin, allowing for a more gradual and comfortable ascent and decent for passengers. All of our aircraft types are available with air-conditioning, a feature not commonly found with other operators. 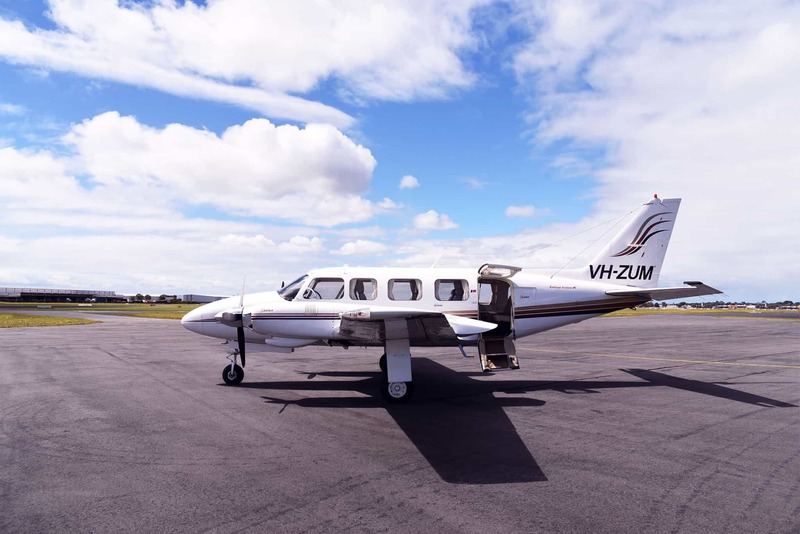 For outback touring or scenic charters, the larger windows on the Piper Navajo and Chieftain make them the ideal choice for taking in stunning panoramas and vistas, and perfect for photography. Wherever you sit in any of these aircraft, you can expect a fantastic view while in-flight. The Beechcraft 200 Super King Air is the fastest aircraft in our fleet and with a speed of 500 km/hr can reduce sector times by as much as 35% compared with our Navajo and Chieftain aircraft which fly at 350 km/hr. This is most noticeable on flights longer than two hours, such as those to major centres. The time saved by using a faster aircraft can translate to increased productivity or more time on holiday at your destination. If you’re looking for cost-effective regional travel, the Chieftain strikes a balance between comfort and efficiency. At capacity, it is the cheapest aircraft on a cost per seat basis and is often a more economical alternative than a regional airline. All of our aircraft are capable of carrying passenger baggage and cargo. However, depending on the size of your group, it may not be possible to carry the same amount of luggage as you would on an airline. 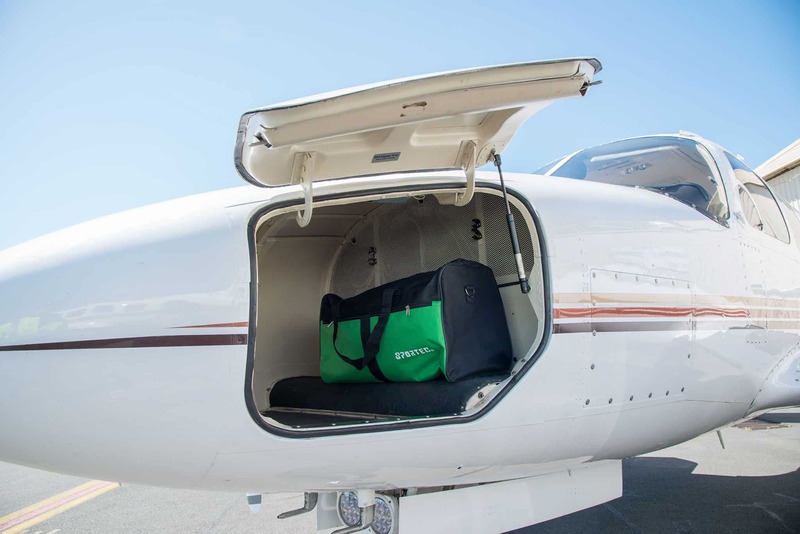 Our nominated passenger capacity for each aircraft allows for small overnight baggage (in soft bags rather than rigid suitcases). With reduced passenger numbers, additional luggage or cargo carriage is possible. What size, is/are the aircraft? Varies from 6 passenger to 10 passenger but typically the maximum is 6-7 passengers due to weight capacity. Single rows of seats with a centre aisle, every seat is the window seat. Yes, and we always encourage clients not to sit in the same seat. We rotate the seating after each sector so everyone gets a different view throughout the tour. No, there are only 3 steps with hand holds so you don’t have to scramble in. We also carry a small step to help some people who may have trouble reaching the first stair. Depending on weather we fly between 3,000 and 10,000 feet on the piston aircraft. The Kingair will fly generally at higher levels of around 25,000 feet although it can come lower for short “sight seeing” experiences. No, except for the KingAir. However there are always toilets immediately before takeoff and straight after landing. The longest sector across all of our tours is 2.5 hours. We have 2 Chieftains and one Navajo for the outback holiday tours. These have rear stair entry, club seating and an aisle in the centre. They have big windows and great performance capabilities on short airstrips. We also have a Super King Air turbine aircraft which can be used for outback charter but is more suited to the corporate market. Again very comfortable club seating, air conditioning and an emergency toilet. The King Air is a multi engine turbine aircraft that is pressurised so it can climb to higher altitudes. The Navajo and Chieftains are multi engine piston aircraft that are unpressurised and fly at a maximum of 10,000 feet. All aircraft have 2 engines. Kirkhope are a great organisation - very professional. I have used them for charter flights for about 10 years and can highly recommend them. Always in safe hands.